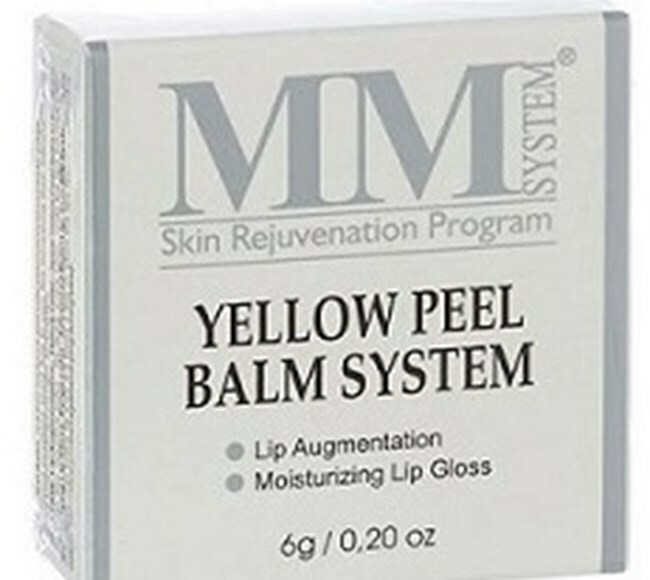 The Mene & Moy yellow peel balm is part of the skin rejuvenation program for lip augmentation. 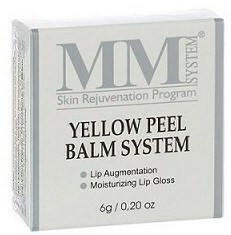 The yellow peel balm increase lip volume without the need to use injectable products. FREE MOISTURIZING LIP GLOSS. Apply the Yellow Peel Balm sparingly to the upper and lower lip using the tip of a clean finger. Be sure NOT to apply to the moist corners of the mouth. This may be followed with a lipstick containing sun protection factor. Re-apply the balm every hour up to 6 times per day. It is not necessary to wash the lips for re-application although lip-stick should be removed. Continue until the lips obtain the desired voloume & a young healthy appearance. At night always use the BARRIER LIP PROTECTOR. After completing Phase 1, (Above) use the BARRIER LIP PROTECTOR cream several times a day for the next 2-3 days and ALWAYS at night. Not to be used during pregnancy, if suffering from cold sores active or latent. Not to be used on broken or damaged skin on or around the lips. Prepare the lips by washing thoroughly with fresh water. Dry with a clean flannel or towel, gently rubbing the lips. This is to ensure that all traces of lip-stick,make-up etc are removed & to stimulate the blood supply to the area.